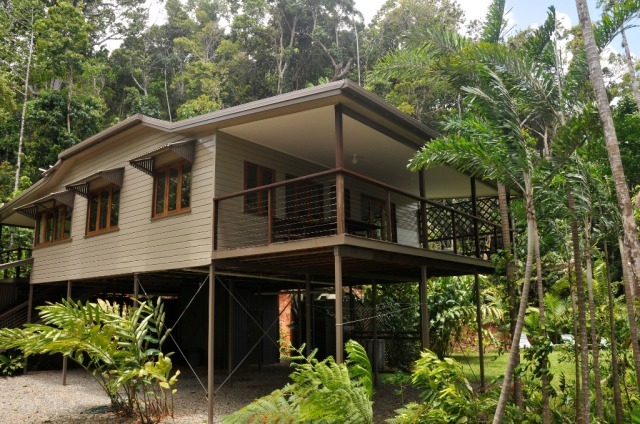 Daintree Magic is an exclusive timber holiday cottage set right in the heart of the World Heritage Daintree Rainforest. 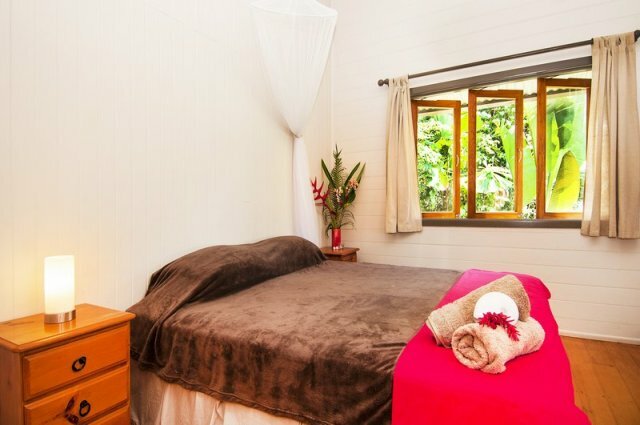 It is the closest accommodation to Cow Bay Beach and the perfect place to escape and relax and unwind in comfort and serene surroundings. 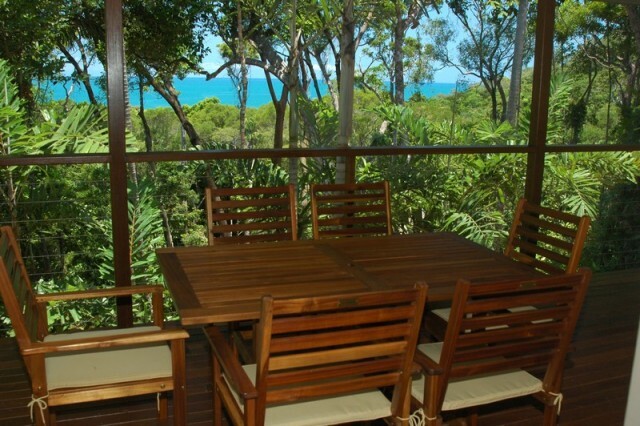 The luxury timber cottage is elevated to maximise the prevailing sea breeze and sweeping views. An open plan living area features an adjoining dining, kitchen and verandah which provides the ultimate atmosphere for entertainment and comfort. 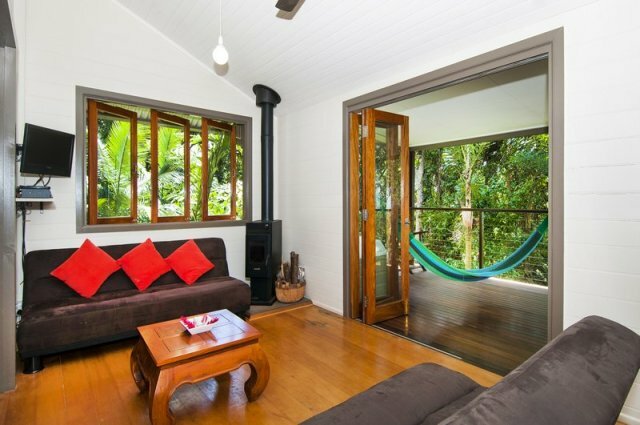 Relax in a bubble bath on the front veranda soaking up the sights and sounds of the rainforest plus spectacular ocean views. 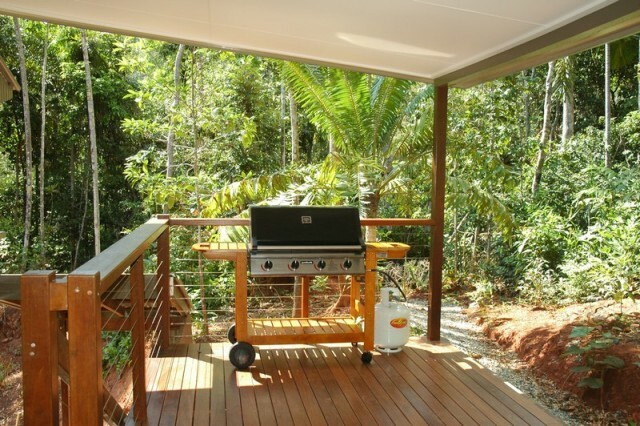 Fire up the barbecue and enjoy an outdoor meal, then as the evening cools warm yourself by the glow of the fire and listen to the sound of the rolling waves. There is one King bedroom, one Queen bedroom and one room with two Single beds. 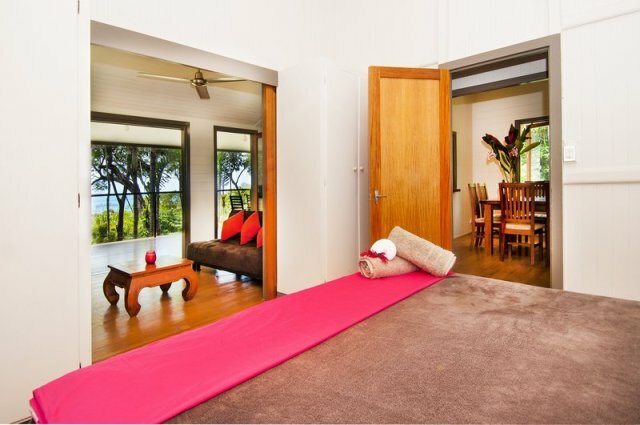 There are two additional sofa beds in the lounge room. A portacot is available for infants. 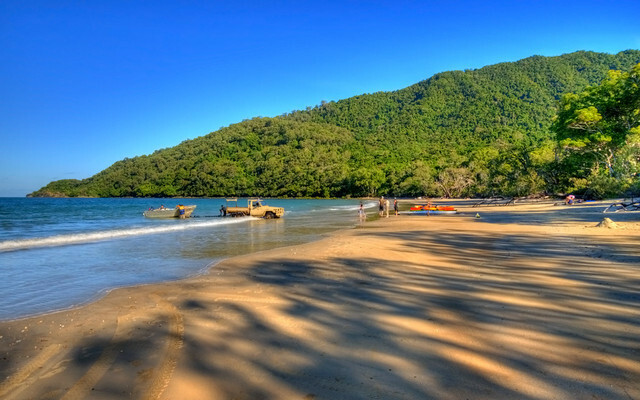 Daintree Magic is located just south of Cape Tribulation and right above Cow Bay Beach, where the World Heritage Daintree Rainforest meets the pristine waters of the Great Barrier Reef Marine Park. Opportunities abound for experiencing the natural wonders of these two magnificent National Parks. 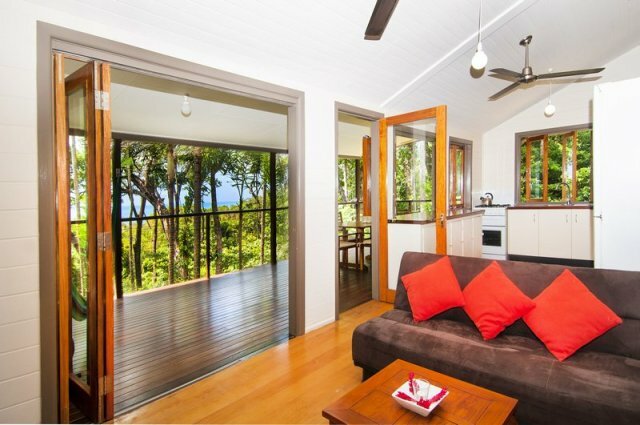 Take a walk to the beach to taste the beautiful blend of Reef and Rainforest, spot a Cassowary on the way, or simply unwind on the veranda surrounded by breathtaking views and ancient species of the forest. 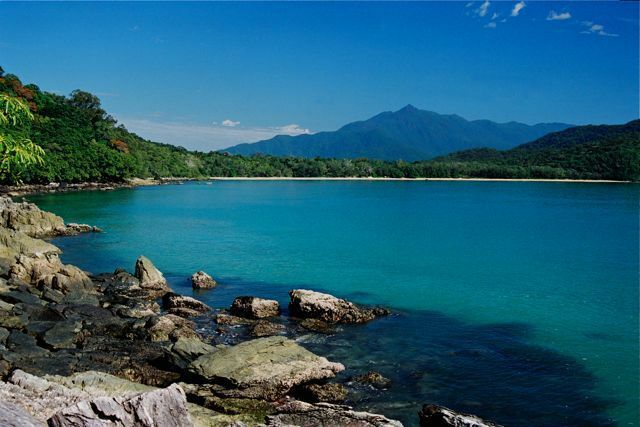 If you desire, indulge yourself in the local Cafe's and Restaurants, experience the tours and adventures offered or take a cool dip in a nearby swimming hole. 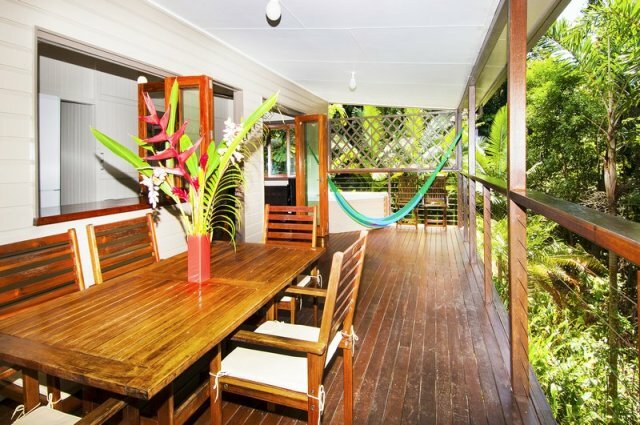 Fishing rods, Stinger suits, Snorkelling gear and a beach cricket set are all at the house for guests use. 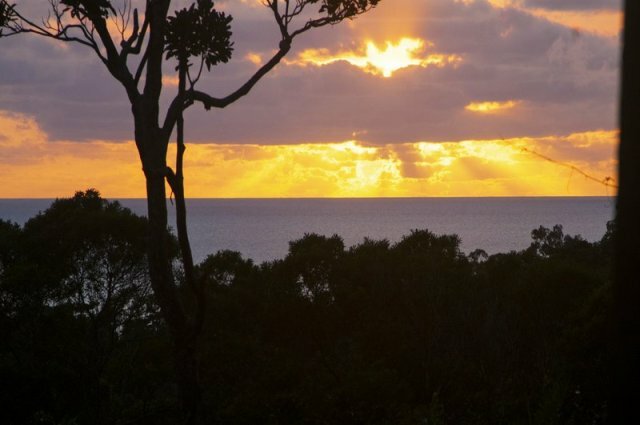 Travel time is just one hour north of Port Douglas or two hours north of Cairns. Drive north along the Captain Cook Highway, passing through the township of Mossman. 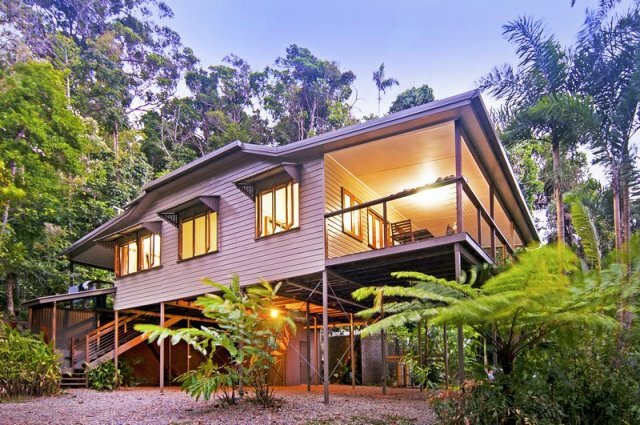 We recommend self catering guests shop in Mossman before the Daintree River Ferry. 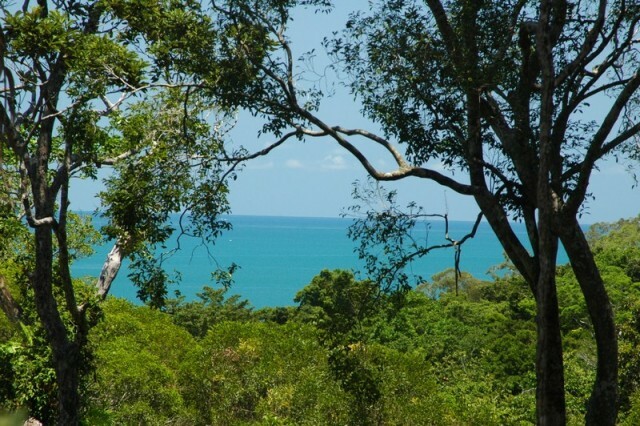 There is no electricity grid in the Daintree area. The solar power does not allow use of any plug in electrical appliances. Refrigerator, stove and hot water are run on LPG gas. The water supply is from rain water collection tanks. Water needs to be conserved. Best access is a manual vehicle driven in low gear, or an all wheel drive vehicle. Mobile phone coverage does not exist over the river. 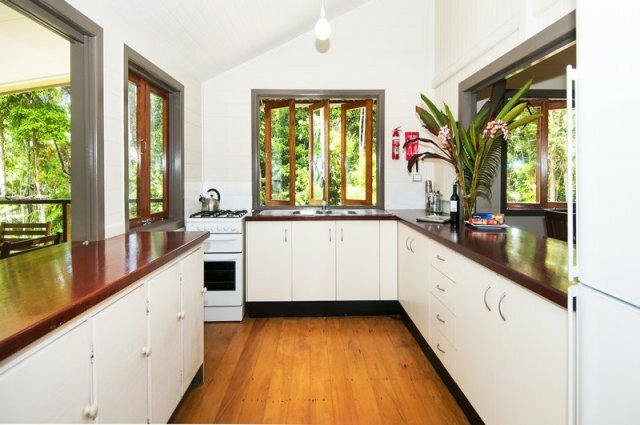 The property has a phone which is free for local calls. We recommend using a phone card for STD and IDD calls. Like the name says \\\"MAGIC\\\"